Why it's important to get your roof cleaned? Lismore sits between several valleys and in parts, is situated very close to bush-land and farmland. 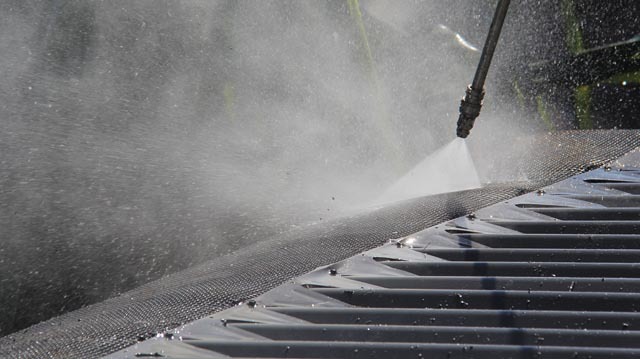 Roofs in Lismore clean-up best with a pressure washer, which is able to remove the dirt and mould build-up caused from the dust and moisture common in the region. Commercial roof cleaning services in Lismore CBD are constantly required by the many businesses located there, but residential roof cleaning tasks around Lismore, Goonellabah and Richmond Hill are even more common. For any type or pitch of roof requiring cleaning in Lismore and surrounds, the Full Circle team is very well equipped, insured and highly capable. Don’t hesitate to call Oliver to discuss your cleaning requirements.